It’s not the three row X1 some were waiting for and its not coming to the US. But it is big news for the rear seat obsessed Chinese market. Official release: Premium carmaker BMW is unveiling a new generation of its highly successful BMW X1, which has chalked up global sales exceeding the 800,000 mark. In China, the first generation was sold up to 200,000 times, including approx. 140,000 locally produced cars in BMW Brilliance’s plant Tiexi. With a thorough understanding of the consumers’ needs in this category in mind, the new-generation model respects their requirements even further and is redefining its segment. Accordingly, BMW has specially developed a long-wheelbase X1 for the Chinese market. 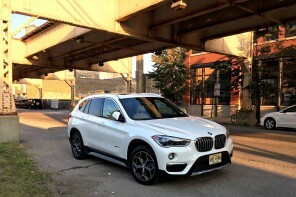 The long-wheelbase version of the new BMW X1 offers a particularly high standard of spaciousness in the rear, at the same time as setting the pace when it comes to versatility and quality as well. Boasting significantly larger dimensions, a body design straight out of the BMW X model mould, perfected functionality and a raised seating position for driver and front passenger, it serves up an even more intense blend of Sports Activity Vehicle DNA. A completely new generation of engines featuring BMW TwinPower Turbo technology and the latest version of the BMW xDrive intelligent all-wheel-drive system help to ensure outstanding driving pleasure and efficiency. 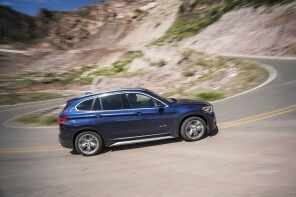 A wealth of innovative equipment features, intelligent connectivity and the contemporary premium ambience of a cabin that also stands out for its high-quality materials and excellent finish likewise all bear testimony to the advances that have been made in the long-wheelbase version of the new BMW X1 compared to its predecessor model. The long-wheelbase version of the new BMW X1 (fuel consumption combined: 7.3 – 6.1 l/100 km [38.7 – 46.3 mpg imp]; CO2 emissions combined: 173 – 146 g/km) is being launched in China with a choice of three power options. The BMW X1 sDrive18Li is powered by a three-cylinder petrol engine with an output of 100 kW/136 hp. The BMW X1 sDrive20Li and BMW X1 xDrive20Li models use a 141 kW/192 hp four-cylinder petrol engine, with a further four-cylinder unit generating a peak output of 170 kW/231 hp in the BMW X1 xDrive25Li. All model variants deliver BMW’s trademark brand of sportiness, together with fuel consumption and emissions figures that are remarkably low in view of their performance. The three-cylinder engine under the bonnet of the new BMW X1 sDrive18Li is coupled as standard to a six-speed Steptronic transmission, while the remaining models come equipped with an eight-speed Steptronic transmission as standard. The BMW X1 sDrive18Li and BMW X1 sDrive20Li models are fitted with a front-wheel-drive system that has been tuned to produce the driving dynamics for which the brand is renowned. 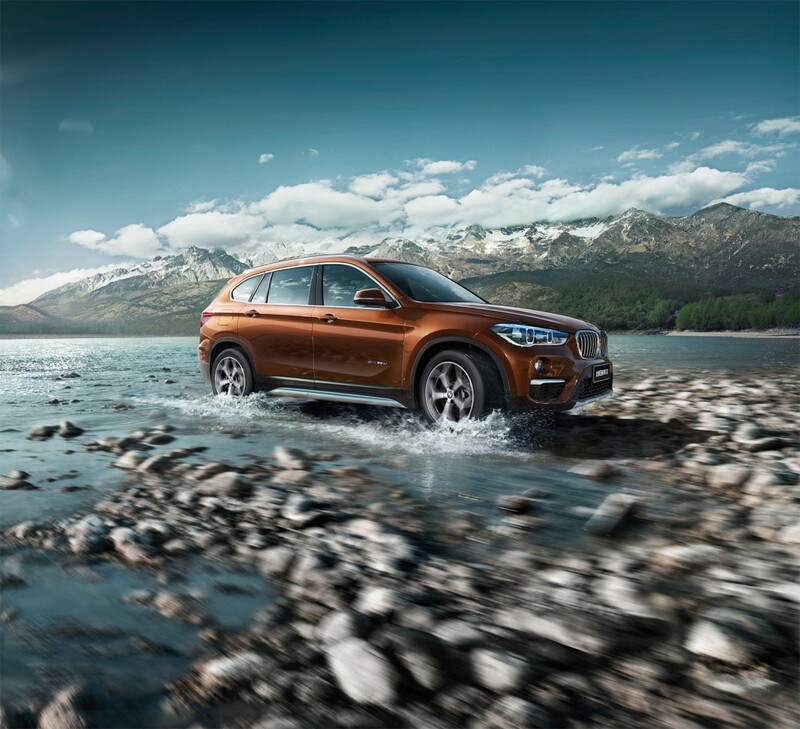 In the case of the new BMW X1 xDrive20Li and BMW X1 xDrive25Li, meanwhile, an intelligent all-wheel-drive version designed for optimised efficiency ensures that drive power is split between the front and rear wheels in line with requirements at all times. The long-wheelbase version of the new BMW X1 is available in xLine and Sport Line models in conjunction with all engine variants and drive configurations. Neatly coordinated equipment and design features shine a particularly sharp spotlight on the car’s robust all-round character or its sporting agility. The new BMW X1 offers a variety of configurations, including a panoramic sunroof, run-flat tyres, an outside rearview mirror assembly integrated with electric folding, heating, parking assist and memory functions, rear Park Distance Control alarm, keyless start, electrically adjustable driver’s and front passenger’s seats with memory function, Dual Zone automatic air conditioning with rear vents, a 6.5-inch freestanding high-resolution colour display, the iDrive operating system, a multifunction sports steering wheel, interior lighting package, an electronic handbrake, Driving Experience Control and Emergency Call. Another stand-out feature of the new BMW X1 Long Wheelbase is its high level of interior comfort. The rear seat bench with a tilt-adjustable backrest, a large panoramic glass sunroof and the lighting package with switchable orange/white ambient lighting all provide a particularly pleasant feeling of space. One other optional configuration is the BMW Head-Up Display, which projects driving-related information directly onto the windscreen and is offered as part of the Navigation Plus package together with a navigation system, an 8.8-inch display and a Touch Controller. Among the other options available are Dynamic Damper Control, LED headlights, the Driving Assistant package, the Harman Kardon surround sound system, automatic tailgate operation, rear-view camera, front seat heating, an automatic parking assist system, cruise control, interconnected driving and real-time traffic information. Commanding and versatile in the BMW X family mould. Its raised seating position, increased space, stylish premium ambience and even greater interior variability underline the status of the long-wheelbase version of the new BMW X1 as a supremely assured, multitalented addition to the segment. The parallels with BMW Sports Activity Vehicles and Sports Activity Coupes from higher vehicle classes are also evident in both the range of optional driver assistance systems and the style of its interior design. Measuring 4.56 metres long, 1.82 metres wide and 1.62 metres tall, the proportions of the long-wheelbase version of the new BMW X1 follow the Sports Activity Vehicle blueprint. The new model has grown in length by some 8 centimetres compared to its predecessor, in width by 2 centimetres and in height by around 4 centimetres. These larger dimensions, together with the new vehicle architecture, have paved the way for the vast increase in interior spaciousness. Excellent seating comfort and significantly more spacious. The long-wheelbase version of the new BMW X1 features an exceptionally versatile interior. Compared to the outgoing model, seating comfort has been greatly improved in the rear in particular, where occupants are also able to enjoy considerably more space. The amount of room passengers in the second row of seats will find for their knees is particularly generous. Depending on the position in which the rear seat bench is set – it can slide fore and aft through 13 centimetres as standard – knee room is between 5 and 18 centimetres greater than that offered by the rear of the first-generation BMW X1. The tilt-adjustable rear seat backrest further enhances ride comfort. Also, there are lots of storage pockets or door storage space available. Beyond this, occupants will also find themselves immersed in a luxurious premium ambience courtesy of the excellent quality of the interior’s materials and finish as well as its beautifully precise design. The arrangement of the cockpit and its controls creates the driver-focused layout that is a BMW hallmark. The lines of the interior trim and accent strips in the instrument panel continue into the door panels, so that occupants in all seats are encircled by a uniform material structure and colour scheme. The long-wheelbase version of the new BMW X1 has a boot capacity of between 465 and 675 litres, depending on the position of the rear seat bench, or a capacity of 505 litres if measured based on the standard seat position – an increase of at least 45 litres over the predecessor model. Folding down the 40:20:40 rear seat backrest, which can also be adjusted for angle, allows load capacity to be expanded to as much as 1,650 litres as required. Automatic tailgate operation (optional) makes using the vehicle’s load-carrying capacity even easier, and the Comfort Access option also includes a hands-free tailgate opening and closing function. Powerful presence, sturdy proportions, dynamic lines. Rugged proportions, a powerful presence and dynamic lines lend the long-wheelbase version of the new BMW X1 a commanding presence. The larger and more impactful BMW double-kidney air inlet grille, three-section lower air intake and the characteristic look formed by the twin circular headlights and fog lamps below them are the stand-out features of the front end. The stylistic underbody protection elements at the front and rear and the square contour of the wheel cutouts all underline the solid stature of the BMW X model. The athletic impression is complemented by the roofline, eye-catching character lines and window surfaces. At both rear windows, the black Air Blades further add a distinctly sporty touch. The flat outline of the two-section, L-shaped rear lights and the boldly flared wheel arches give added impact to the wide track of the long-wheelbase version of the new BMW X1. Personalised styles: cross-country xLine and sporty Sports Line models. The cross-country xLine model can be identified from the side by roof rails and side window surrounds in Aluminium satinated, coordinated side skirts in matt Satin Silver and 18-inch bi-colour light-alloy wheels in Y-spoke design. Its robust character is further emphasised by the underbody protection at the front and rear in matt Satin Silver. The interior trim comprises sports seats excellently upholstered in perforated leather and with decorative stitching at the sides, blending perfectly with the stitch design on the centre armrest. Also included are contour lighting in the doors and an accent strip for the instrument panel in Pearl Gloss Chrome. In addition, the original oak trims in matt finish create a luxurious and comfortable interior. Among the special features of the sporty Sports Line model’s exterior is the specially designed BMW double-kidney air inlet grille, whose bars – like the special air intakes, the side window surrounds and the exterior mirror caps – come in high-gloss Black. The underbody protection at the front and rear of the Sports Line model and its side skirts are presented in body colour. 18-inch bi-colour light-alloy wheels in double-spoke design round off the exterior’s sporting appearance. Inside, the Sports Line model also comprises sports seats excellently upholstered in perforated leather and with decorative stitching at the sides, blending perfectly with the stitch design on the centre armrest. Also specially provided are a combination of black leather with red stitching and interior trim strips in high-gloss Black with Coral Red, to create a sense of vibrant sportiness. New generation of engines: sportiness and efficiency rooted in BMW TwinPower Turbo technology. 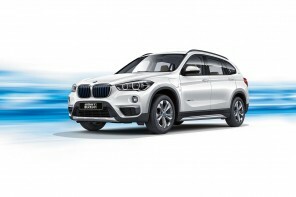 The long-wheelbase version of the new BMW X1 is available with an all-new line-up of engines. The power units form part of the BMW Group’s new generation of engines and distinguish themselves with instantaneous power delivery and optimised efficiency. BMW TwinPower Turbo technology combines with extensive BMW EfficientDynamics measures to endow all variants of the compact BMW X model with an outstanding balance between sportiness on the one hand and fuel efficiency on the other. Flexible, quick to respond and more efficient than ever: xDrive intelligent all-wheel drive. 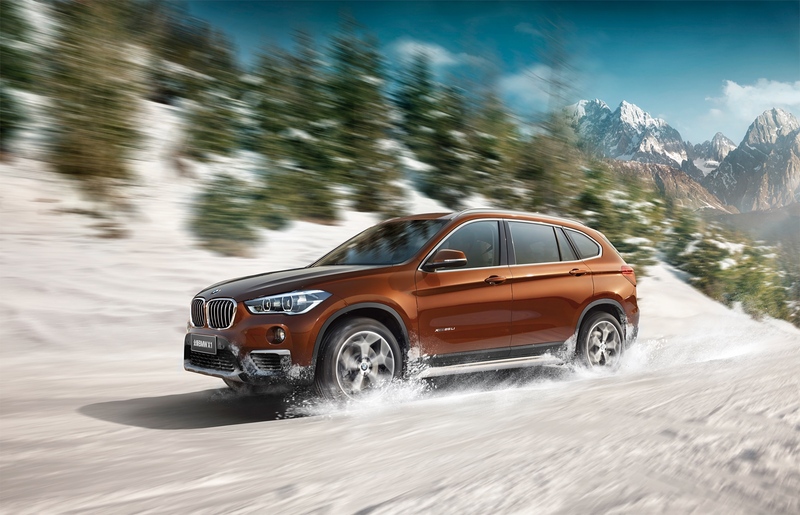 Whereas the engine’s power is channelled to the road via a state-of-the-art front-wheel-drive system in the new BMW X1 sDrive20Li and the new BMW X1 sDrive18Li, the two other model variants utilise the latest BMW xDrive smart all-wheel drive system. The remarkably optimised, low-weight and fuel-efficient version of the smart system fitted in the new BMW X1 xDrive20Li and BMW X1 xDrive25Li models distributes the engine’s power between the front and rear wheels exactly as the situation requires – at all times. Together with DSC (Dynamic Stability Control), it allows the system to act pre-emptively to counteract any incipient oversteer or understeer. It does this by diverting power to the wheel or wheels where it can be transferred to the road to maximum effect. The BMW xDrive system therefore ensures supreme traction, optimised directional stability and enhanced cornering dynamics in all weather and road conditions. Furthermore, the combination of the DSC system and xDrive also includes Hill Descent Control. The xDrive smart system on the long-wheelbase version of the new BMW X1 consists of a single-speed bevel gear in the front-axle drive unit (a power take-off) and a rear-axle drive unit with an electrohydraulically controlled hang-on multi-plate clutch. The two are connected by a two-piece drive shaft. If necessary, the BMW xDrive smart system is able to direct drive power to the wheels as requirements dictate with split-second speed and without the driver noticing. Sophisticated chassis technology – including Dynamic Damper Control. The chassis technology of the original X1 has been totally redeveloped for the long-wheelbase version of the new model and now comprises a single-joint strut suspension at the front and a multi-link rear axle. Intelligent lightweight design underpinned by a high proportion of aluminium and high-strength steel has increased rigidity at the same time as lowering weight. An innovative axle mounting, model-specific elastokinematics and the sophisticated three-way support mounts used to connect the dampers to the body furthermore serve to enhance the car’s agility and ride comfort. The long-wheelbase version of the new BMW X1 is equipped with Servotronic speed-sensitive power steering and also includes Dynamic Damper Control. The electronically controlled dampers improve the ride comfort of the new BMW X model and sharpen its dynamic attributes. Two damper control settings can be activated using the Driving Experience Control switch. Equipped with the Driving Experience Control system, DSC dynamic stability control system and comprehensive occupant protection. The Driving Experience Control system’s button on the central console between the front seats allows the driver to give the car’s set-up an even sportier, more comfort-oriented or efficiency-optimised character by calling up COMFORT, SPORT or ECO PRO mode at the touch of a button. Other than the Anti-lock Braking System (ABS), Dynamic Traction Control (DTC), Brake Assist system and Start-Off Assistant, the DSC dynamic stability control system also comes with the Active Differential Brake (ADB) and Performance Control functions. Performance Control helps imbue the car with dynamic cornering characteristics by distributing engine power and braking force in a shrewdly measured way. Moving a higher proportion of drive power to the outside wheels through corners, it counteracts any tendency to understeer without waiting for stability to reach a critical point. This ensures an agile and neutral cornering attitude. The body structure of the long-wheelbase version of the new BMW X1 can be noted both for its improved torsional rigidity and for its optimised weight – the result of an intelligent mix of body materials. This has the effect of enhancing agility and efficiency at the same time as providing outstanding occupant protection. The impact generated in a collision is diverted and absorbed with the aid of precisely defined load paths and generously sized deformation zones. The interior comes with a full complement of safety features, including front and side airbags, as well as head/curtain airbags at the sides and three-point inertia-reel seatbelts for all seats. All model variants ride on run-flat tyres as standard. Innovative driver assistance systems: added driving pleasure through intelligent connectivity. The rich variety of assistance systems compared with those already available for the original model underlines the overwhelming superiority achieved by the long-wheelbase version of the new BMW X1 in the research of intelligent connectivity. The Navigation system assists route guidance by showing direction arrows and high-quality multi-view map images on the 6.5-inch Control Display. Another option is the Navigation Plus system, comprising an 8.8-inch Control Display, an instrument cluster with extended features, a split-screen function for the Control Display, an iDrive Touch Controller button and the BMW Head-Up Display. This system allows High Guidance instructions, including lane recommendations, to be shown on the instrument cluster’s TFT display or projected onto the windscreen, as desired. The BMW Head-Up Display projects information – including the current speed in digits, Check Control messages and readouts from the Speed Limit Info system – directly into the driver’s field of view, allowing them to register the information without having to divert their gaze away from the road ahead. The rear-view camera, whose images are transferred onto the Control Display, together with the Parking Assistant, which helps the driver to find and make use of parallel parking spaces, facilitate precise and easy manoeuvring. The Driving Assistant includes Lane Departure Warning, Speed Limit Info with No Passing Info display, the anti-dazzle High Beam Assistant, as well as Collision Warning and Pedestrian Warning with City Braking function. BMW is shrewdly taking advantage of the scalability of the UKL platform to produce, at minimum cost, niche variations of its models tailored specifically to meet regional global demand. The long-wheelbase X1 uses the same long-wheelbase version of the UKL1 platform – together with the same drivetrain options – underpinning the 2-series Gran Tourer already on sale in Europe. An X2 crossover, based on the short-wheelbase X1, is due in 2017, and such is the unstoppable global demand for SUVs and crossovers, it’s almost inconceivable that BMW will not give the green light to the F61 MINI Sportsman 5-door crossover.